It’s not a whole new world. In 1598 of the Joseon Era, a county official and mermaid fell in love. But due to the greed of those around them, the star-crossed lovers ultimately met a tragic end. In present day, the reincarnated version of the official is Heo Joon Jae, a conman. And by the powers of fate and destiny, he once again encounters the mermaid, Shim Cheong. As they get closer to each other, it becomes clear that history and their love story are repeating themselves. They must outrun their enemies or be at risk of losing each other again. Okay, I’m just come right out and say it: Legend of the Blue Sea is the cheap knockoff of My Love from Another Star. At least, that’s how I perceived it. Right from the get-go, it seemed way too convenient that there’d be so many similarities between the two dramas. From the actors to the storyline to even the OST, I was having major (drama) deja vu. Was I watching Star in an alternate universe where Lee Min Ho replaced my beloved Kim Soo Hyun? Why am I hearing a Lyn song with a repetitive English chorus again? Are mermaids the new aliens? All these questions and more littered the way as I ambivalently watched. But despite trying to give it a fair chance, I only saw Legend of the Blue Sea as a derivative drama that lacked original creativity. While there’s nothing new about dramas trying to copy the success of others by replicating the themes and stories, the similarities between Legend of the Blue Sea and My Love from Another Star are just far too many. 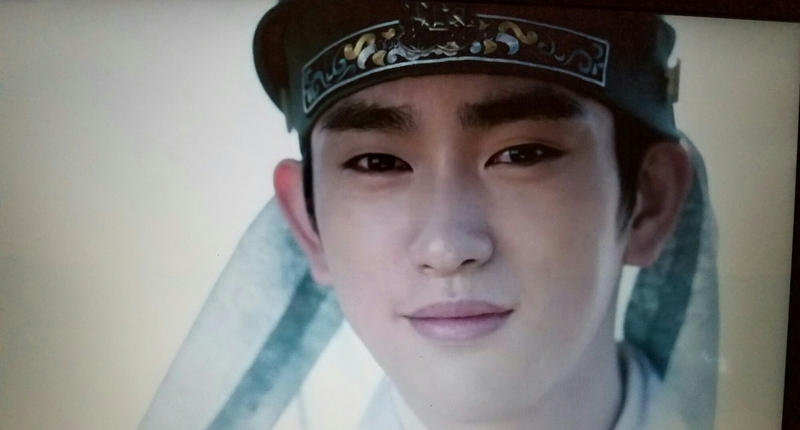 The mythical creature falls in love with a human in modern time after sharing a tragic Joseon history. In the meantime, a psychotic murderer is on the loose and trying to do them both harm. Can you identify which drama I’m describing here? Probably not, right? Sigh. And I can’t even call it plagiarism because both were written by the same person and produced by SBS! Never did I think that I would experience Star fatigue, but I think this finally did it for me. Thanks a lot, Legend of the Blue Sea. I hate to admit it, but the biggest weakness of Blue Sea was casting Jun Ji Hyun as the mermaid, Shim Cheong. Blasphemy, I know. Not because of her acting, but as her first drama since the wildly popular My Love from Another Star, this casting choice screamed laziness. Not enough time has passed between the dramas for the audience to forget about that other beautiful mythical creature known as Do Min Joon. And after playing such a memorable character in Cheon Song Yi, having her as Shim Cheong feels too much like a blatant role reversal that is not nearly as successful. Furthermore, it was kind of demeaning that even though she was the one possessing magical powers now, her character still played the damsel in distress. We’re really supposed to believe that Lee Min Ho, the basic human, is her savior? Like, no. All that being said, Jun Ji Hyun was also the best and most redeeming part of this drama because she’s the queen. The villains in Blue Sea were so inconsequential and sloppily written that the drama had way too much time to focus on Heo Joon Jae and Shim Cheong’s relationship. If you disregard the whole fate thing they had going on, nothing about them made sense. She basically fell in love with him because…I don’t even know. Ditto with him. More than anything, it felt like the drama was trying to convince the audience that these two were destined (You are my destiny~…oops, wrong drama.) to be together just because Lee Min Ho and Jun Ji Hyun looked good as a couple. And to be quite honest, I found their chemistry lacking. 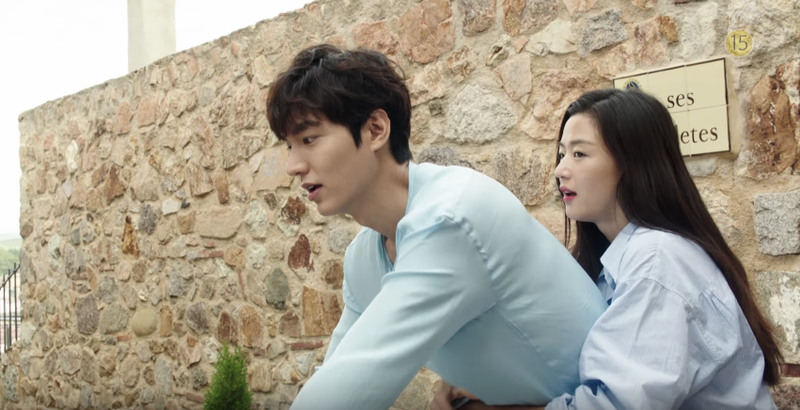 Legend of the Blue Sea attempts to wear many hats, but its most entertaining moments came when it acted like a comedy. Jun Ji Hyun proves once again that she’s as good of a comedic actress as she is a dramatic one. I especially loved her scenes with Hong Jin Kyung, and want to believe that they are also best friends in real life like they were in Star AND Blue Sea. Also, Moon So Ri was a delight in her role as the shallow but sweet society lady that Heo Joon Jae’s mom worked for. In a drama headlined by such big names, it’s the minor characters that really stole the show. 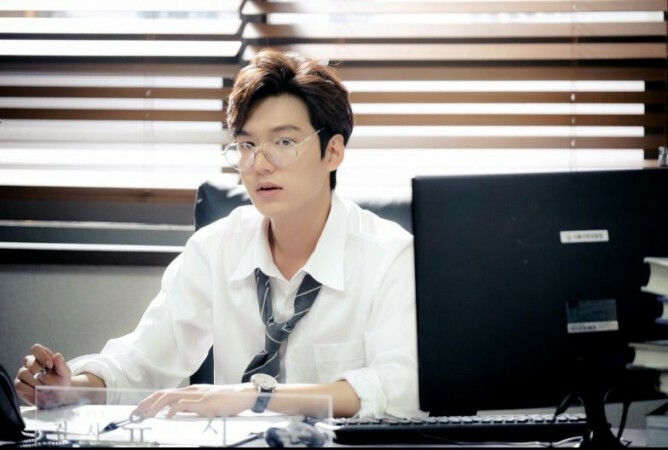 Unlike Jun Ji Hyun who does no wrong, Lee Min Ho was disappointing as Heo Joon Jae. He never fully embraced the stoic, emotional or goofy sides of the character. Plus, he’s not a good crier. Less Heo Joon Jae, more of Shim Cheong and her ragtag band of friends, please! 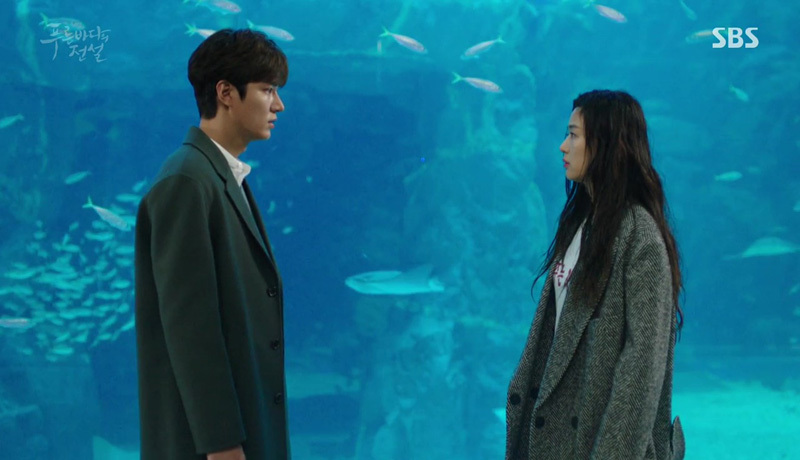 Besides some writing issues, Legend of the Blue Sea is perfectly acceptable kdrama fluff. But because all I kept seeing in front of me were the more than obvious similarities between it and My Love from Another Star, I couldn’t fully enjoy the drama on its own merits. Jun Ji Hyun is charming and beautiful as always, but her supporting cast really didn’t step up to the task. Perhaps if you watch Legend of the Blue Sea on its own or thought of it as a legitimate remake of My Love from Another Star, you’ll really enjoy it. As for me, I’ll stick with the original. KSH or LMH…you tell me, lolz. Legend of the Blue Sea is based on a collection of mermaid stories by Joseon scholar, Yu Mong In. In them, a county magistrate released mermaids into the ocean. The underwater scenes were filmed in Palau. This is Jun Ji Hyun’s first drama since 2013’s My Love from Another Star and first acting role since giving birth to a son in 2016. This drama is Lee Min Ho’s first since 2013’s Heirs. This will also be his last acting role before entering the military for 2 years. Cha Tae Hyun makes a cameo appearance as a fake shaman in episode 4, marking his and Jun Ji Hyun’s first onscreen reunion in 15 years since co-starring in the hit 2001 film, My Sassy Girl. Jo Jung Suk makes a cameo appearance as a merman in episode 7. Krystal makes a cameo appearance as a flight attendant in episode 1. She and Lee Min Ho were costars in Heirs. Na Young Hee (Heo Joon Jae’s mom) and Hong Jin Kyung (Shim Cheong’s homeless friend) both acted alongside Jun Ji Hyun in My Love from Another Star as her character’s mom and best friend, respectively. OMG Preach !!! Well I was not really on board the Star train either, but man I so happy someone finally pointed out that Lee Min Ho did not do anything but ride on his fame in this drama. For me Ji Hyun carried the show from beginning to end, with it’s good and bad moves. This drama is forgettable, Jun Ji Hyun and all. If someone asks me what it’s about, well it’s about a mermaid…, a mermaid…, um.., a mermaid to tries to live on land? Yup, Jun Ji Hyun played a mermaid. The end haha. My favourite drama….i liked everything in this drama but what is the point of erasing memories about her(chong) atlast..its heart breaking…!!! it has its flaws.. but overall it was worth it. the humor and finally seeing my favorite actors together…. the chemistry is somewhat lacking at some point, but it was okay. forgivable. I just wish that lee min ho’s character was more manly in this drama, like in city hunter where he’s so capable. I know it’s different from this, but you know— i just wish he was more mysterious and strong to be able to match jun ji hyun’s strong points. if that were the case, i think the chemistry must have been superb! Lol at that entire Cheon Song Yi paragraph 😂😂 I lost it at (You are my destiny~…oops, wrong drama.) though!! I actually wasn’t thinking so much of the similarities between the 2 dramas. My Love From Another Star is my all time favorite drama. What I did notice was the lack of chemistry… I agree that I liked the scenes of the female lead better with the supporting roles than with the male lead… I couldn’t get into it. To be honest, I don’t even think I finished it. I totally agree with you! I thought I was crazy. I mean, how could I not like this? Two of my favorite actors and ratings through the roof, it must be good. I was disappointed with the first episode, but still tried to give it a chance. I’m in the middle of episode 5 now and I’m ready to be done. I agree that there is just ZERO chemistry between the leads the story line is non-existent. It’s like it wasn’t planned out very well. It’s good to know I’m not the only one who was disappointed with this drama! I’ve had a hard time finding any good ones lately. I watched Tunnel and it was ok, but nothing like “My Love from another Star” or “Oh My Venus” or “Cunning Single Lady” or “Fated to You”. I can watch those over and over again. Great review! I watched My Love From Another Star and Legend of the Blue Sea back to back and while I did see some parallels I enjoyed this drama overall and I would recommend it to others. Though I did have some issues with it. Like how Heo Joon-jae seemed to lose his magic-lighter powers to entrance people, ditto with his Sherlock Holmes level of observation… that just poofed away after a few episodes. Shim Cheong suddenly not having any kind of joy or whimsy halfway through the series. Sure, in a way they explain that as mermaids hearts harden when they are on land… but not if their loved in returned. What’s up with that? Did the writers forget their own mythology? I did get some good laughs out of it: The dog going to english school, the bold dumpster diving fashion looks, Quickly grabbing the cash and drinking ALL the water to not be harassed in cliche drama-style, mugging a grade schooler, whacking herself in the head with a hardboiled egg because everything she learned was from television! Haha! And I did like how Jo Nam-doo was kind of ambiguous after finding out the mermaid secret and playing double agent, that was a fun twist. I just wish they could have kept the tone they established in Spain throughout the show while layering in the family drama and mermaid moments. It could have been one of the best, but it got a little too muddled and messy.